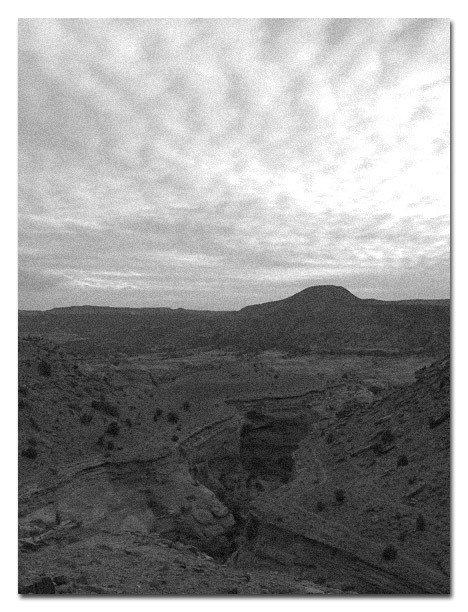 The Colorado Plateau. This is an area that has been many different things: desert, ocean, swamp. 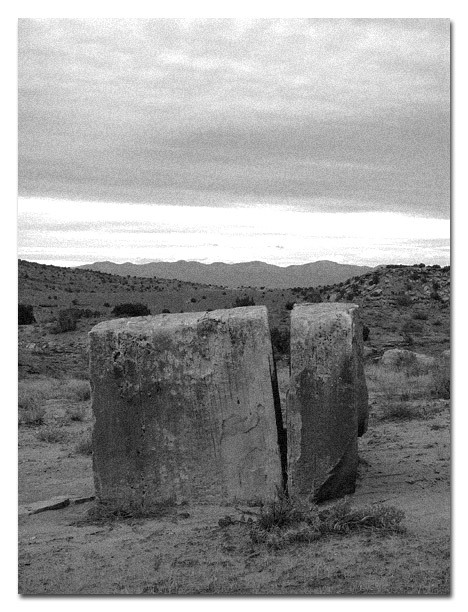 Nowadays, as you drive west out of the Rockies, you drop down into high desert country. 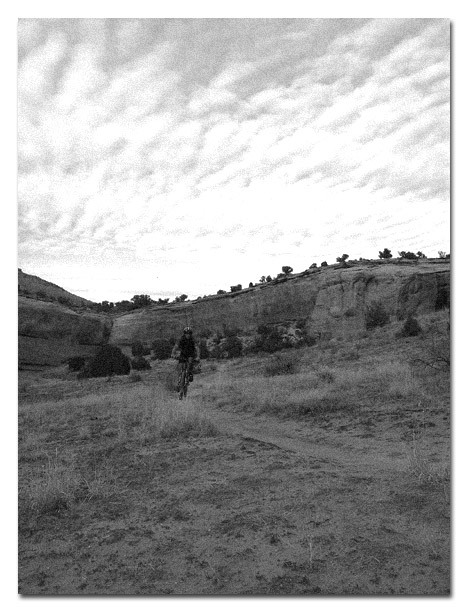 South of the interstate lies the Uncompahgre Plateau and the excellent riding therein. The trails are right off the interstate, at the weigh station exit. 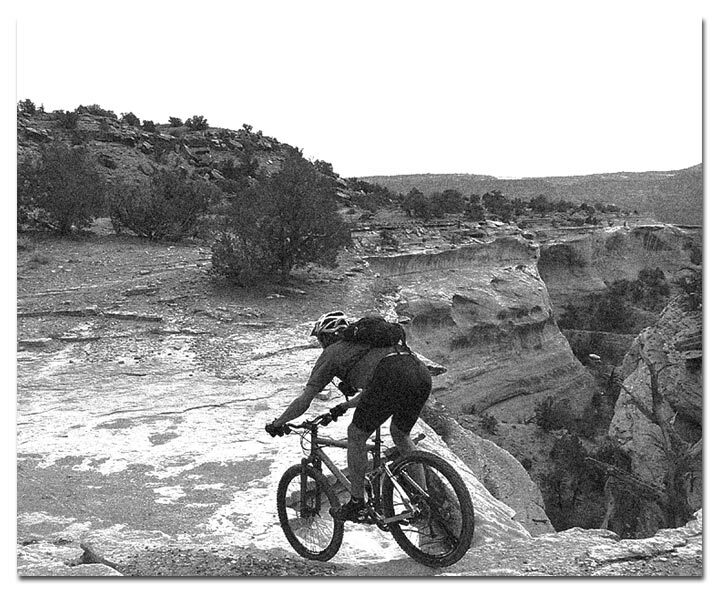 Though we treated it as a stopover ride en route to Moab, one can rest assured that there is enough riding here to keep one occupied for quite some time. 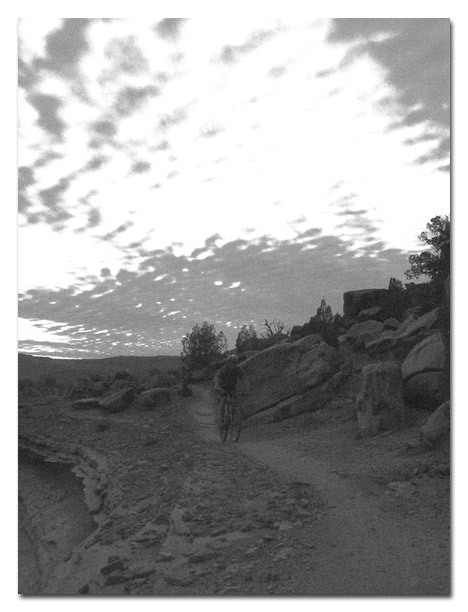 There are a variety of loops near the Kokopelli trailhead. 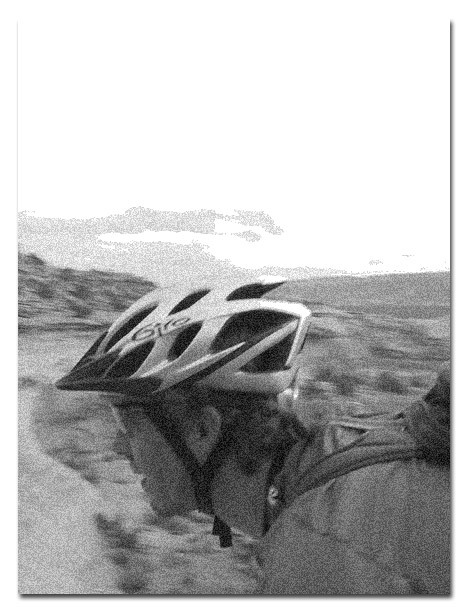 The Koko runs 145 miles all the way into Moab. We chose to do a selection of trails, all based on Mary's loop. 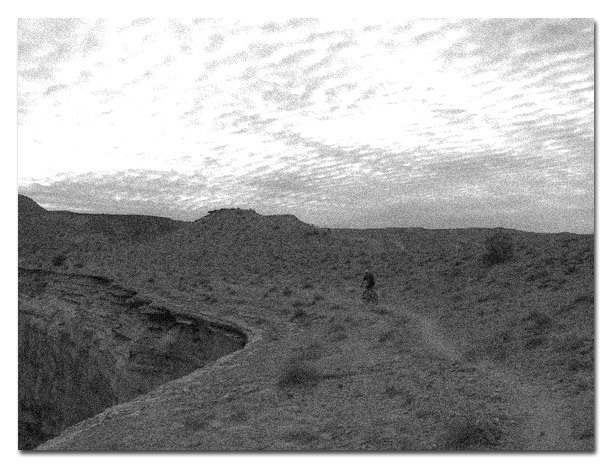 This is pleasant rolling singletrack, with a few technical spots. 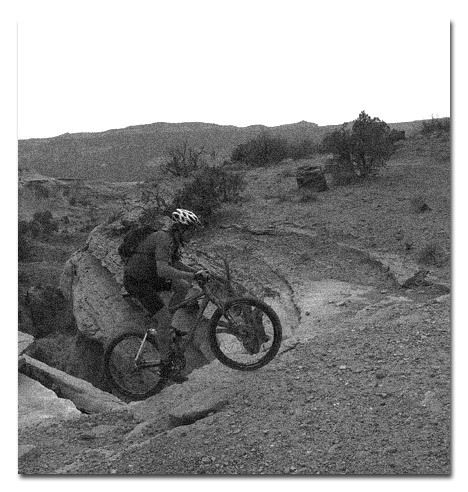 There is quite an exciting drop down to Horsethief Bench, and we also grabbed a loop called Handcuffs, or Steve's. What is this foolishness? Show me the damn color pictures! Some pics of me can be found here. See, I do more than take pictures!